Brenda has been a consistent top producer specializing in marketing and closing properties in the Park Cities, Preston Hollow, North Dallas, Greenway Parks, Turtle Creek, Bluffview, Lakewood, East Dallas, Lake Highlands, Bent Tree and the Southlake area. 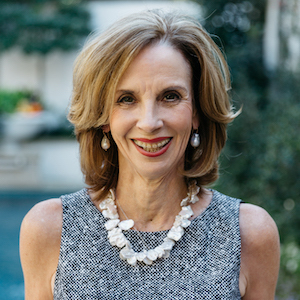 Brenda’s professionalism and dedication to her clients are the hallmarks of her reputation in the Dallas Residential real estate industry. Her repeated distinction as a Multi-million Dollar Producer has been developed over her 27-year career in real estate. A native of New Orleans, Louisiana, Brenda moved to Dallas in 1970 to attend SMU, where she earned a B.A. degree in Political Science. She and her husband, Bob, have raised two children in the Park Cities community where they have lived for over 30 years. Brenda maintains a high level of community involvement in the Park Cities, including membership in the Park Cities Presbyterian Church. She has served as Chairman of C.A.R.E. (Chemical Awareness Resources and Education) which is an educational arm of the Y.M.C.A. Brenda is a member of the Junior League of Dallas, La Fiesta de las Seis Banderas, the Delta Delta Delta Alumni group and the Dallas Woman’s Club. She was actively involved in the HPISD PTA during the tenure of her childrens’ school careers.